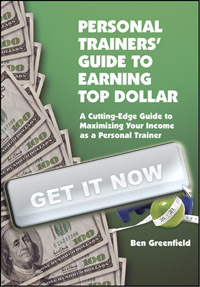 The website “Breaking Muscle” recently reviewed the “Personal Trainer’s Guide to Earning Top Dollar“. Have you ever wanted to get audio questions for your podcast? Listener call-ins? Feedback for your podcast? Ever wondered how I get audio questions for the BenGreenfieldFitness podcast, similar to what you see above or hear here? It’s simple. I use something called Speakpipe. If you want to get feedback from your podcast listeners or blog readers, set up a voicemail widget on your websiteor use a voicemail page, this allows your visitors to leave voice messages right from a browser. No phone calls are required. 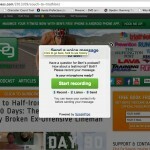 Speakpipe allows listeners to call in and leave support questions, or questions for the podcast. Better yet, it’s free, and easy to get started with a 60-second installation! I recently discovered something called “MyList”. In a nutshell, MyList is like “Pinterest for Facebook” – it allows you to make lists of things that you like or use, then share them with others to like or explore. So how could this help you with your fitness business? Should Personal Trainers Give Nutrition Advice? It’s no secret that in the fitness industry, it’s “frowned upon” for personal trainers to give nutrition advice to their clients. I discuss this in my book, but really, ethics of giving diet advice certainly does depend on your level of training and certifications. So…let’s just say you don’t want to talk much about diet/supplements with your clients. I’ll pay you 50% commission to you, for life, to any clients that you send to the BenGreenfieldFitness Inner Circle for diet assistance. This Month’s “Social Media Tips For Fitness Professionals” Now Available For Your Enjoyment! Who’s In? This Global Conference Aspires to Raise Bar For Health & Fitness Professions. I’m pleased to announce my selection as a partner in the first annual World Fitness Business Owners Summit, a global, virtual conference featuring the top 25 luminaries and thought leaders in the health and fitness industry. Registrations are open by clicking here. These elite will present their best practices and most valuable insights to thousands of health and fitness professionals worldwide who desire to learn from the finest minds and most successful leaders in the profession. Information and technologies are available now and more are rapidly becoming available that will dramatically improve the health, vitality, longevity and well-being of people who you are coaching and working with as clients, trainees and patients. The problem is that misinformation (both in the mainstream and alternative communities) is muddying the waters. SuperhumanCoach.com launches today, and our first live workshop and call with me is at 6pm PST, tonight (Saturday, April 6). The Superhuman Coach Network is Ben Greenfield’s new mastermind group for coaches and trainers who want learn how to use the most efficient techniques possible to transform bodies and become superhuman. Access is limited, but you can learn more in a video from Ben Greenfield by clicking here. I was recently interviewed at “Fitrilla” about how to dominate the fitness market by teaching your passion. You can access the entire video interview for free by clicking here.